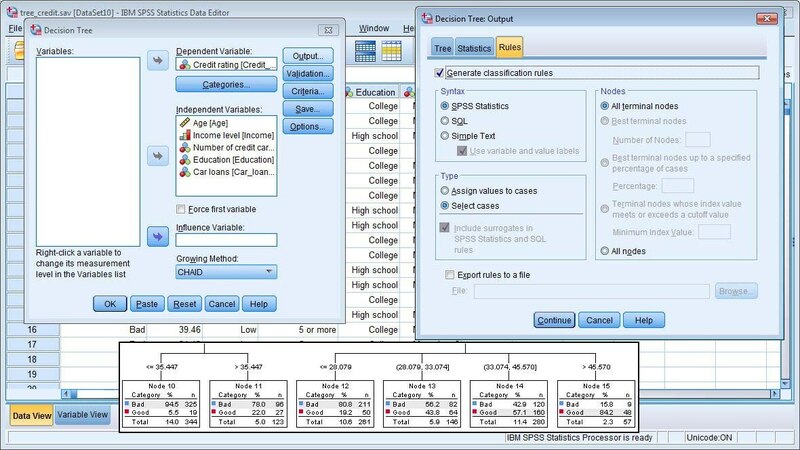 IBM SPSS Decision Trees provides classification and decision trees to help you identify groups, discover relationships between groups and predict future events. See how to create highly visual representations of groups and categories. Learn how to easily identify groups, discover relationships between them, and predict outcomes.